FORT WAYNE, Ind. 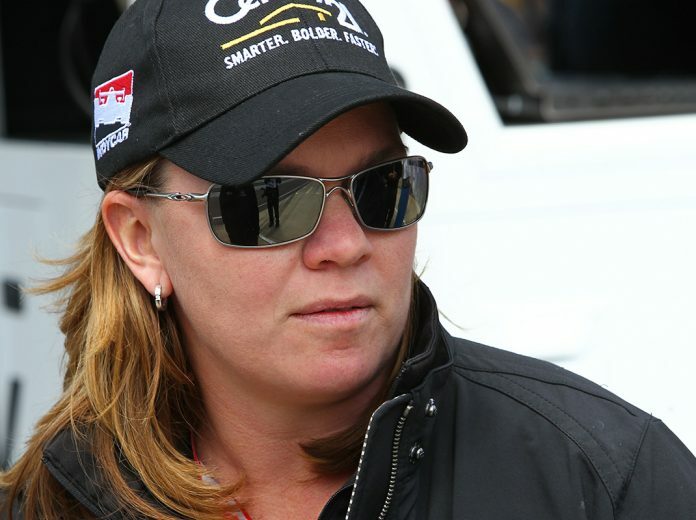 – Indianapolis 500 veteran Sarah Fisher has filed an entry for the midget portion of the 19th annual Rumble in Fort Wayne. The event, set for Dec. 30-31 inside the Expo Center of Fort Wayne’s Allen County War Memorial Coliseum, is a throwback to where at all began for the Indy 500 veteran. The Commercial Point, Ohio, veteran, now a successful Indianapolis business woman, began her career in quarter midget and go kart racing, both of which will be highlighted in this year’s Rumble. She then moved up to sprint cars and midgets before climbing the ladder into Indy Car racing and entering the famed event at the tender age of 19. It will be back to the midget division for Fisher as she pilots the Guess Racing entry on the Rumble’s tight sixth-mile concrete oval against nearly three dozen other teams. It will be no easy task, as the formidable list currently includes seven previous Rumble winners in the likes of Billy Wease, Dave Darland, Mike Fedorcak, Jim Anderson, Derek Bischak, Justin Peck and Russ Gamester. The environment of her early racing career will be reminisced when the quarter midget and go karts tackle the oval, less than 200 feet from her pit area over the weekend. Completing the weekend card will be two divisions of 600cc racing; winged and non-winged. Each day features a full racing program for every division as they move from the outdoor ovals they compete on throughout the traditional racing season to indoors and the temporary concrete oval inside the Expo Center on the Northeast side of Fort Wayne.